It has been a while since I've done a Pagan Eye post on a Bad Witch's Blog. Pagan Eye posts show a photo of something that catches my eye or that has been sent in to me - it can be a seasonal image, a pagan site, an event, or just a pretty picture. 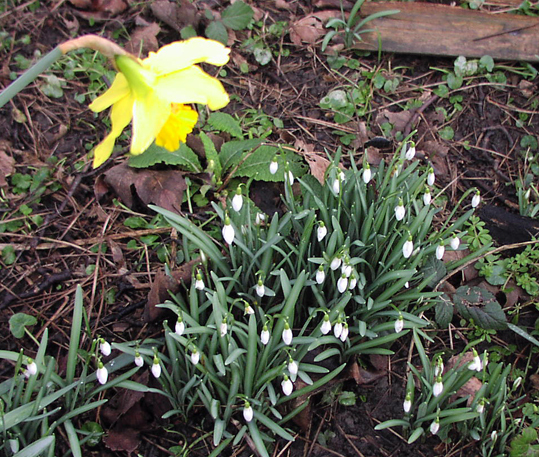 This shows snowdrops in my garden overlooked by a daffodil. These flowers have been blooming in my garden for a few weeks. The snowdrops are normally out in early February, but it is rather early for the daffs.